The way in which you lead is directly linked to your team’s performance, commitment and job satisfaction. Building their engagement starts with you! Intuitively this makes sense, yet according to a recent Gallup study, roughly 70% of workers are disengaged, which means they are likely to be unmotivated, uninspired and unproductive. Learn winning strategies to enhance your leadership style so you can create a collaborative, productive team and an exceptional workplace. Jackie Kindall, CEO of Kindall Evolve Consulting, LLC, helps proactive executives lead their teams to their fullest, most inspired potential. Most of her clients have an enviable record of success because they’re committed to high performance, growth and excellence. However, due to a change in team dynamics, they find themselves at risk of not meeting team and company goals. Though eager to address workplace challenges, they’re unsure how to solve the problem and what to try next. Their leadership skills are being put to the test as they seek ways to engage and move their teams forward. When executives partner with Jackie, they diagnose the issues plaguing their team and refine their own leadership mastery. They welcome peace of mind and renewed excitement as she helps them implement tailor-made solutions to cultivate a team that trusts, collaborates and achieves stellar results. A born go-getter, Jackie’s greatest satisfaction is witnessing the transformation that takes place as her clients and their teams enjoy the accomplishments and accolades of working as one toward important common goals. Described by her clients as inspiring, empathetic and driven, Jackie has nearly three decades of corporate leadership experience in Human Resources and Organization Development. In 2016, determined to broaden her reach, she launched Kindall Evolve. Now, through hands-on coaching, consulting and training, Jackie collaborates with executives and their teams across the country to create productive, vibrant workplaces. Jackie is a Certified Professional Coach and a member of the International Coach Federation. She has a Master of Organization Development and Leadership from Saint Joseph’s University, and a Bachelor of Arts in Sociology from UCLA. 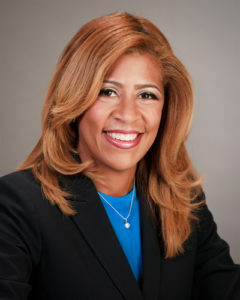 She serves as a Board Member for the National Kidney Foundation of Maryland and Delaware, Saint Joseph University’s Master of Organization Development and Leadership program, and Women Business Owners of Montgomery County. She loves to travel and experience different cultures around the globe, spend time with friends and family, and laugh so hard that she cries!